Specifically I am interested in the analysis of phenotypic variation in two time scales of resolution: 1) At ecological scale, I analyze the organismic functionality of morphological, ontogenetic, behavioral and life history traits under different scenarios of selective pressures (competition, predation, sexual selection, etc.). 2) At evolutionary scale, I analyze the covariate evolution and macroevolutionary modeling of interspecific phenotypic traits under phylogenetic contexts. 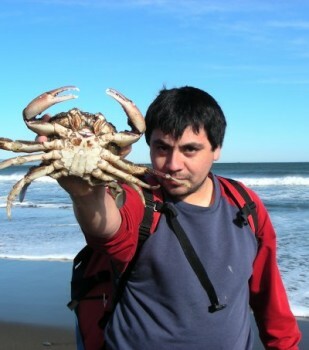 Additionally, because I often use crustacean species as a study model, I have also generated descriptive research contributions in morphology, larval biology and taxonomy of decapod crustaceans from freshwater and marine environments of Chile.